Apple is currently Launching iPhone8, iPhone8 Plus and iPhone X. Apple has launched the 10th anniversary edition of the iPhone and at the same time the rates for the second version of the iPhone have dropped drastically. Most e-commerce websites are offering giant discounts on iphone7, iphone7 plus, iphone6 ​​and iphone6s. 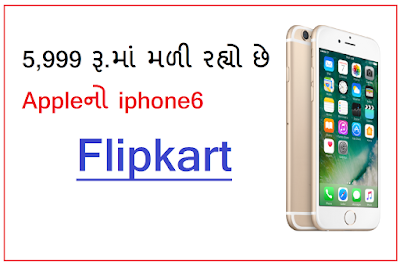 On Flipkart, you can buy iPhone6 ​​at just Rs 5,999. However, the Chia Deal is only valid on the exchange offer. Without any exchange offer, the iPhone6 ​​is only available in Rs 25,999. Flipkart has also offered a special discount of Rs 3,501 on this. 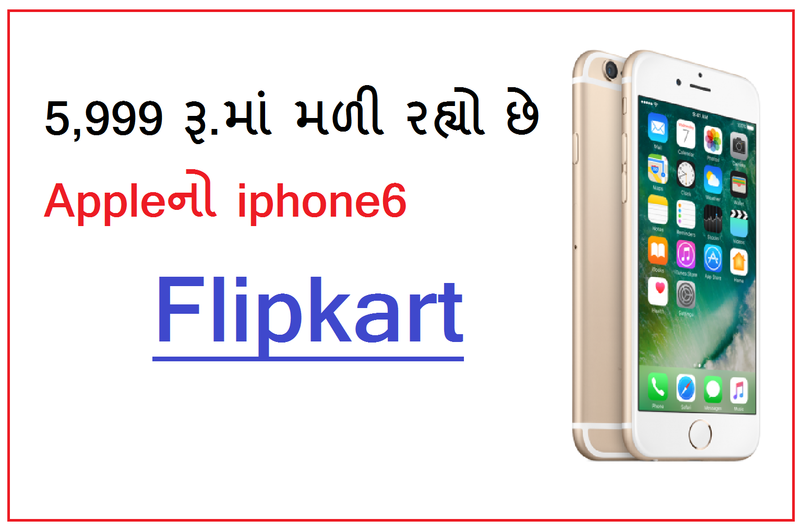 From Flipkart, the customer will get the iPhone6 ​​at Rs 5,999 only, while he will exchange flagship device like iPhone 7 Plus, Samsung Galaxy S8 or similar. Flipkart is offering exchange discounts on many other brands. At Rs 3,150 exchange discount on Xiaomi Redmi Note 4, Rs 9,500 exchange discount on Apple iPhone 6S and Rs. 8 on Huawei Honor 8. Exchange discounts of Rs 3,400. 0 Response to "Apple's iPhone6 is Available for Rs 5,999"